Just got settled into the Sprint Event at CTIA. Rumors indicate another handset announcement. Dan Hesse, CEO of Sprint, should take the stage soon. We’ll include a live stream embed below shortly. Photos will follow the event, the WiFi networks are a bit too slow to handle simultaneous uploads and text-based updates. 2:09 PM – Dan Hesse took the stage. States that people didn’t know what Mobile Apps were just a few years ago, but downloads of these are increasing “7 fold” over the next few years. Claims that Smartphones are still confusing too many customers. His solution is a new technology called Sprint ID (for Android). 2:11 PM – The new interface lets people download packs of apps, widgets, ringtones, wallpapers, etc. The interface allows holding onto 5 of these packages at once. 2:12 PM – Three new Android phones announced: Samsung Transform, Sanyo Zio, and LG Optimus S. All will have the new Sprint ID. Example is E!, they are showing a video demo of it’s features. Also are eBay, Oprah, ESPN, Amazon, and many more. 2:14 PM – There are quite a few first-party partners creating quality ID packs for customers. 2:20 PM – Sprint had videos of execs from companies that create apps say why they partnered with Sprint on-screen. Nothing too interesting, MTV also has a ID pack. 2:25 PM – LatCel, a Latino cellular provider, will also be using this to target content to their customers. 2:30 PM – Finally something interesting, Radio Shack’s CEO is on stage. 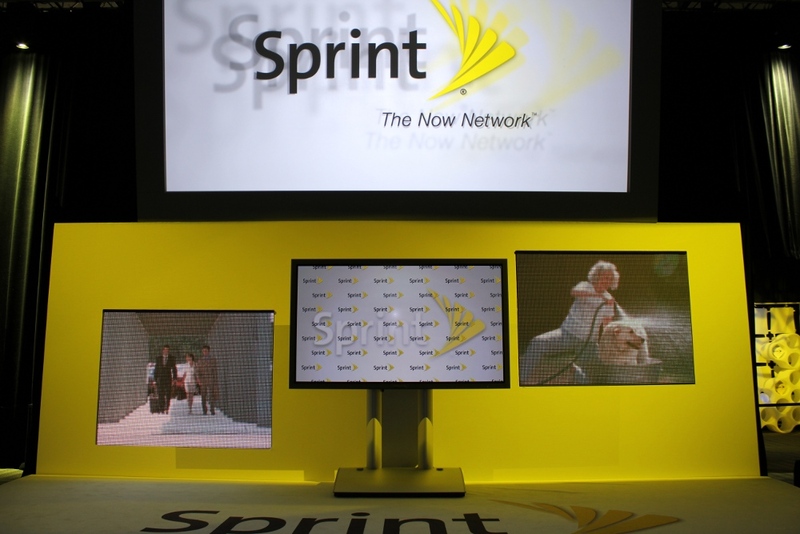 They are an official distributor of Sprint devices. Sprint ID devices will be available in over 4,000 Radio Shack stores. 2:35 PM – That’s apparently it, no other big news here.